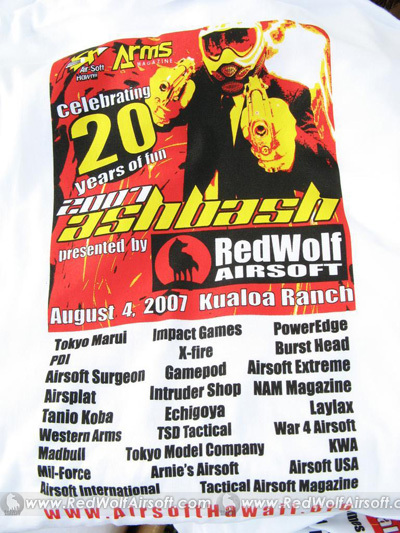 You are here: REDWOLF > Home > News >News Detail - Ash Bash 2007 - What a Rush! 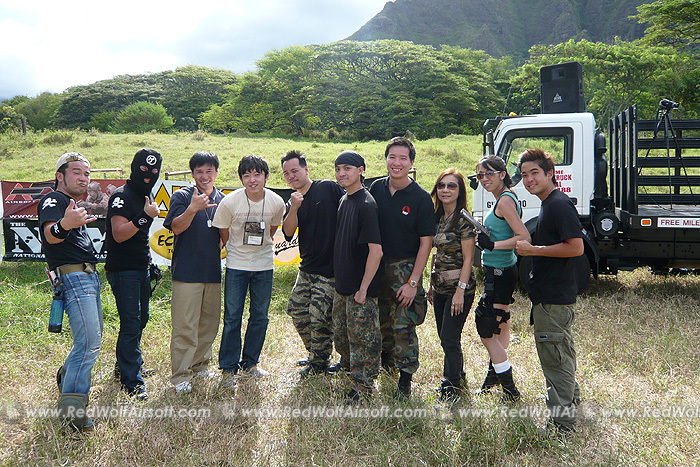 Celebrating its 20th anniversary, Airsoft Hawaii once again hosted the well renowned ASH BASH event in Hawaii to an impressive 380 players. 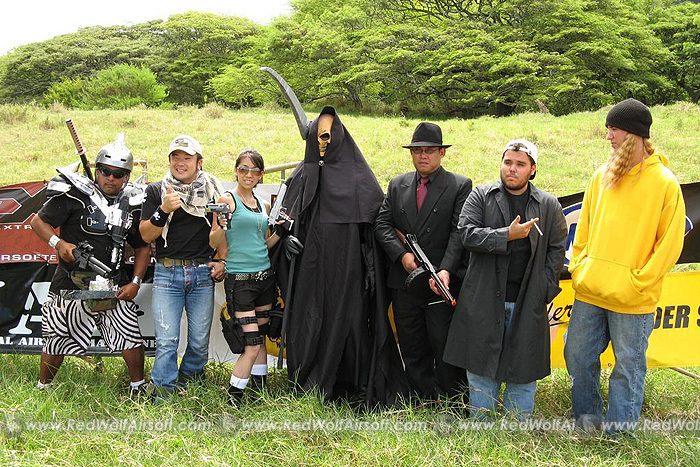 With friends and family, the event was attended by close to 500 people making for another highly successful game! 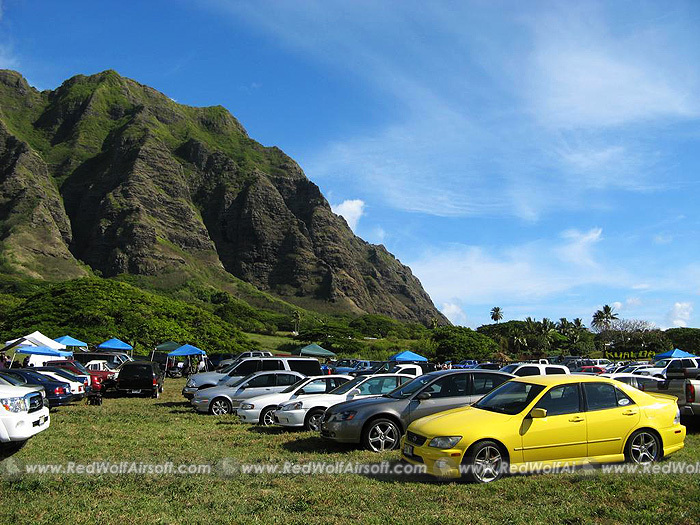 Held at the Kualoa ranch, a leisurely 35 minute drive from downtown Honolulu, the site is flanked by beautiful mountains and the beach leading into the cool Pacific ocean. 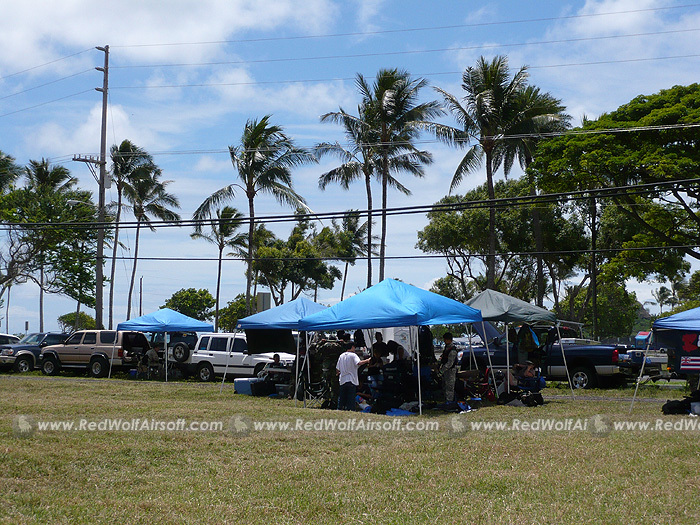 It took place on Saturday August 4th and registration started at 8am with the event wrapping up by around 5pm. True to ASH BASH fashion, there were many simultaneous events going on so players could choose which ones appealed to them most. 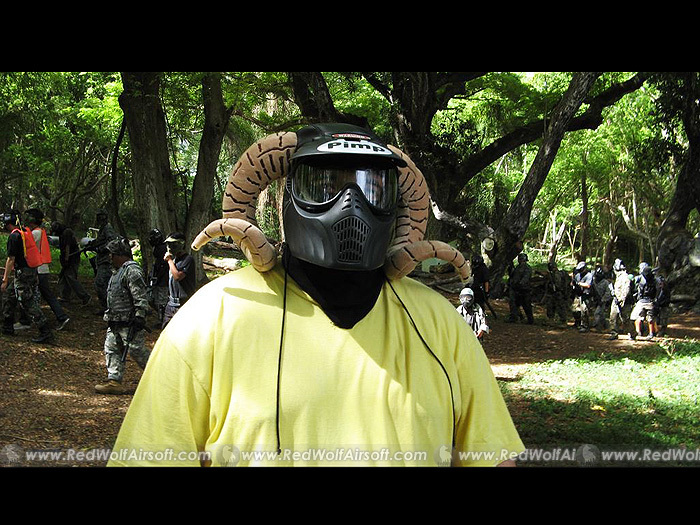 Apart from the usual skirmishes that ran for 45 minute intervals, there were constant raffle drawings with numerous prizes from the likes of PDI, Laylax, Marui, ARMS, Madbull, NAM Magazine, Mil Force, Airsoft Surgeon, and many retailers such as IMPACT GAMES, Game Pod, and yours truly, RedWolf Airsoft. 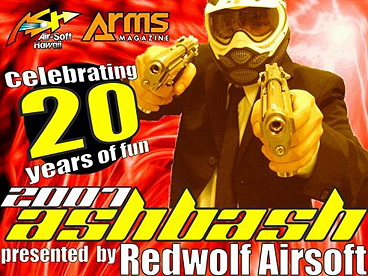 As the proud title sponsor of ASH BASH 2007, RedWolf gave away a custom AK Saiga Shotgun to Kyle S. of Hawaii, and two Deep Fire M72 Launchers to two other lucky winners. 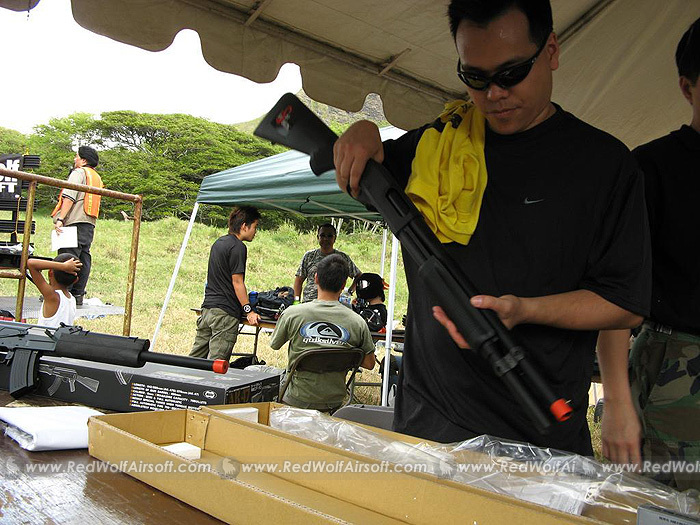 We also gave away an Airsoft Surgeon Slug Shot shotgun to one of the lucky staff of Airsoft Hawaii. 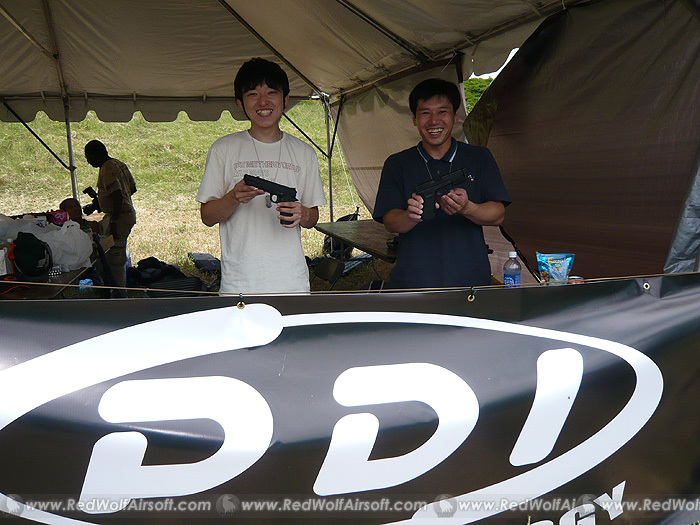 Special "flown-in" guests of the event included Burst Head "Boss" from ARMS magazine and staff from high end Airsoft parts manufacturer PDI, who amongst other things, make the best precision barrels in the industry. 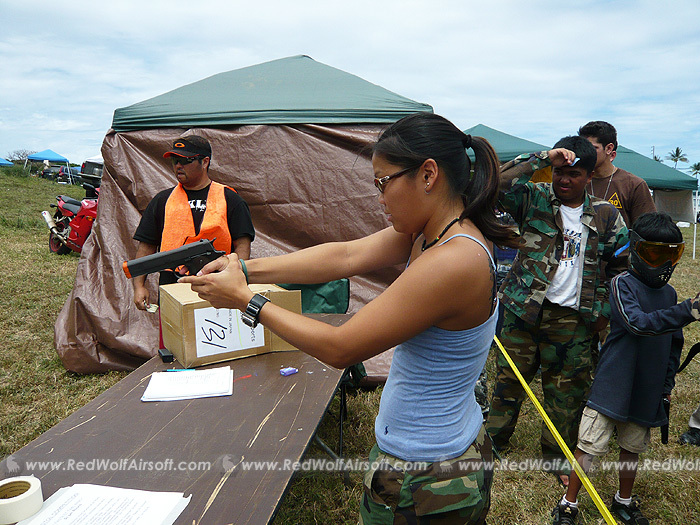 In the tradition of ASH BASH, the cardboard cutting contest and IPSC shooting competition drew lots of people to compete for prizes. 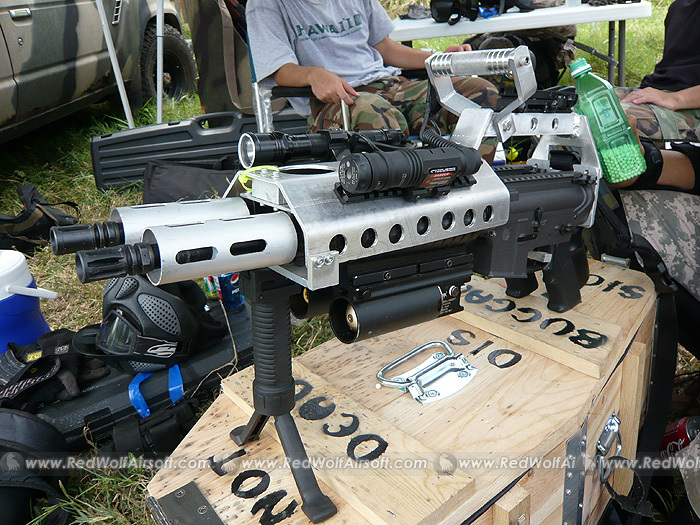 The cardboard cutting contest is a test of accuracy, the gun's rate of fire, and its ability to feed BBs in a reliable and steady manner. 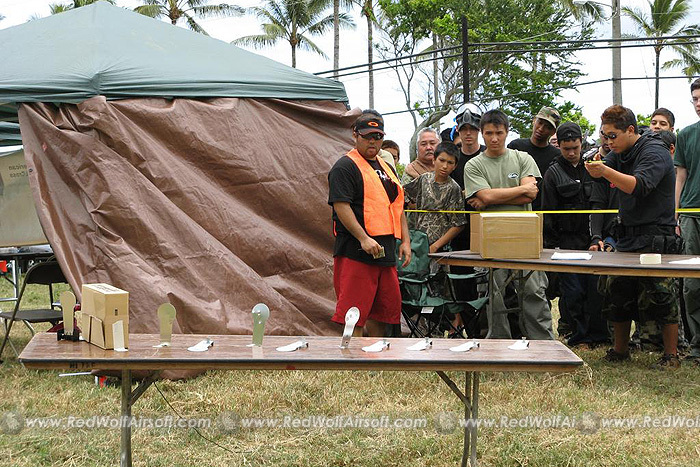 Contestants are timed on how fast they can cut down a piece of cardboard using their AEGs. 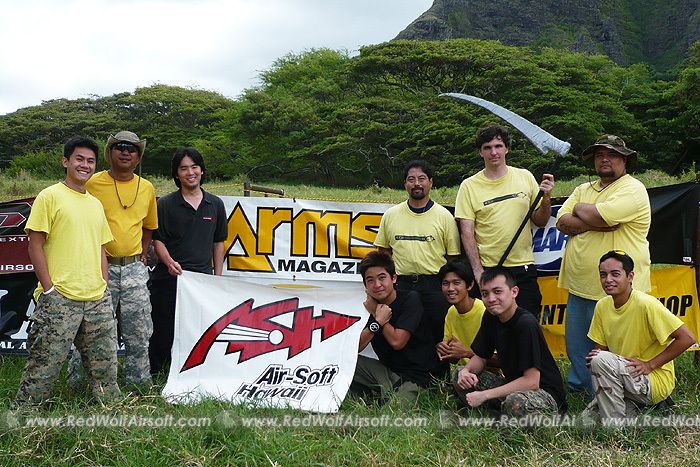 Most competitors had extremely fast guns and auto-winding magazines, cutting down the cardboard in seconds. 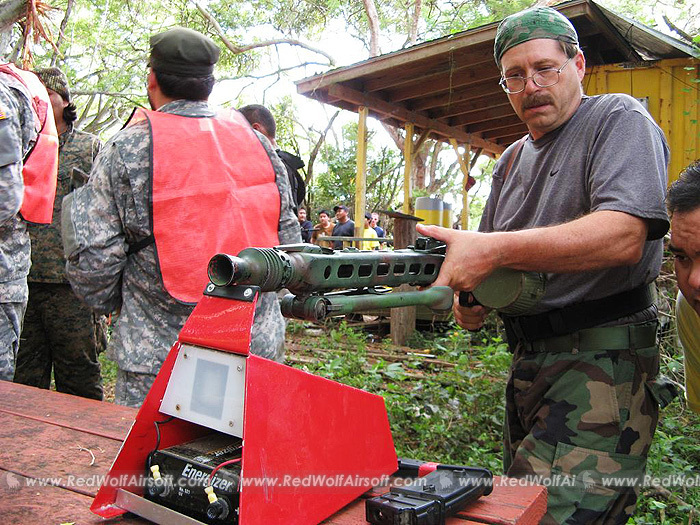 A few brave souls competed with a regular high capacity magazine, forcing them to work the trigger with one hand while winding the magazine continuously with the other - an impossible feat! 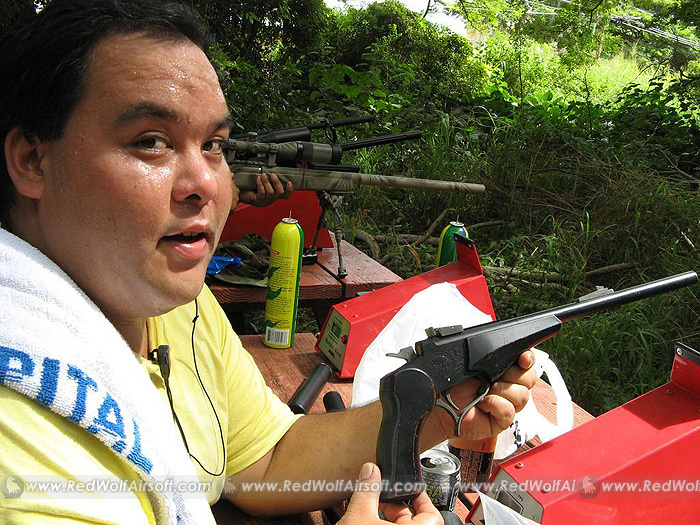 The IPSC shooting contest is for pistols only, and contestants had to shoot down all metal targets plus a final "hostage" target in the shortest possible time. 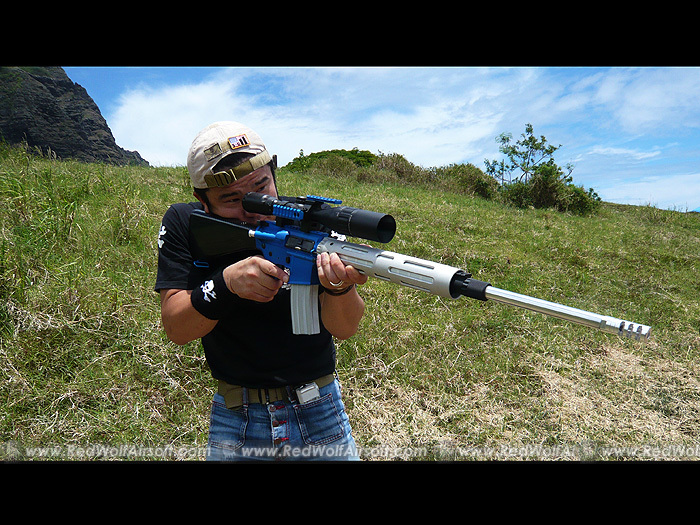 Using a MADBULL IPSC timer, contests started firing at the sound of an audible beep, and the timer stopped when they hit the final plate. 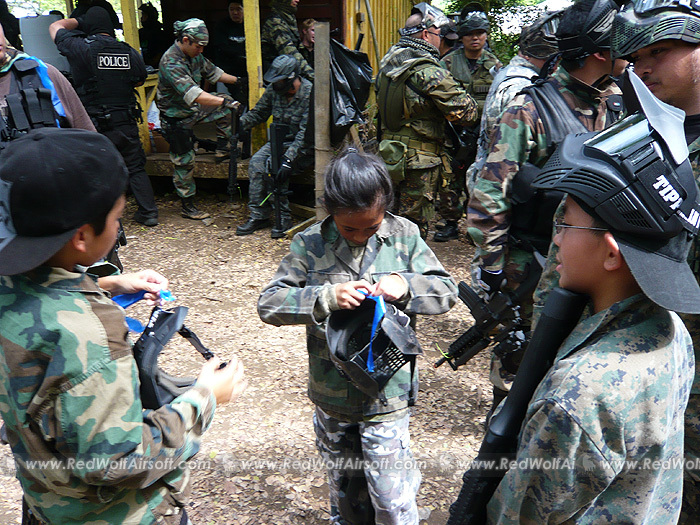 Admittedly, many more people braved the IPSC competition in their attempt to beat the 4.3 second best time that one contestant delivered to serious applause. Hitting the hostage added 3 seconds to your time so accuracy was a must! 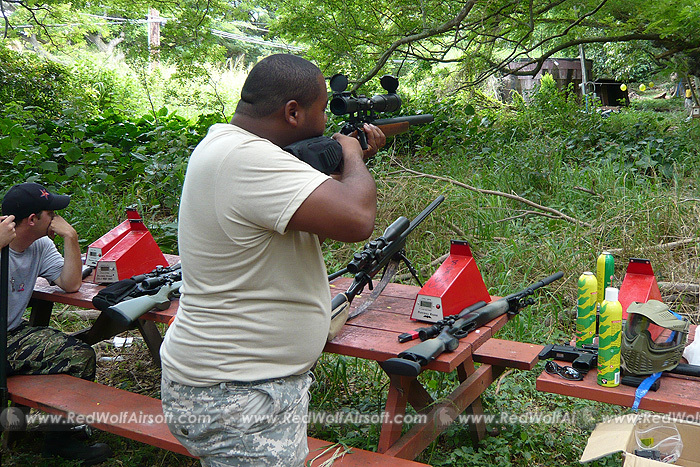 New for this year was the sniper contest, which had contestants shooting three balloons from 100 feet, and a bonus balloon at 150 feet. The visual effect was quite impressive as some contestants were able to shoot all four balloons within 10 shots. 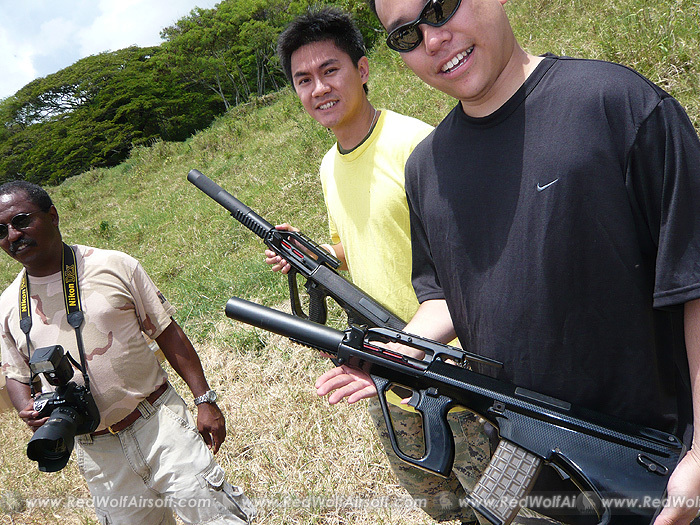 Mind you, these were highly upgraded sniper rifles that were as accurate as they were powerful. 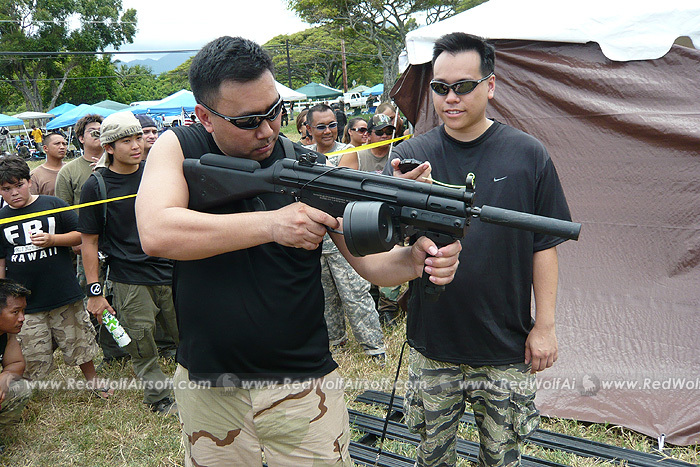 One contestant even had a CO2 powered Type 96. 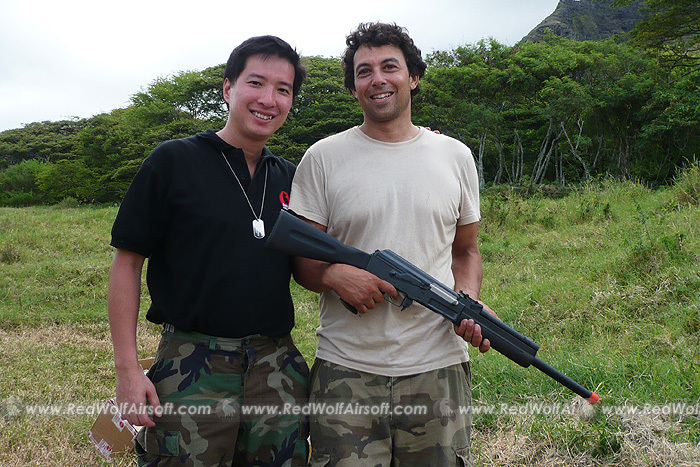 Spring powered bolt action rifles did very well for this event and went to prove that these purpose built sniper rifles delivered far superior range and accuracy than highly upgraded AEGs. 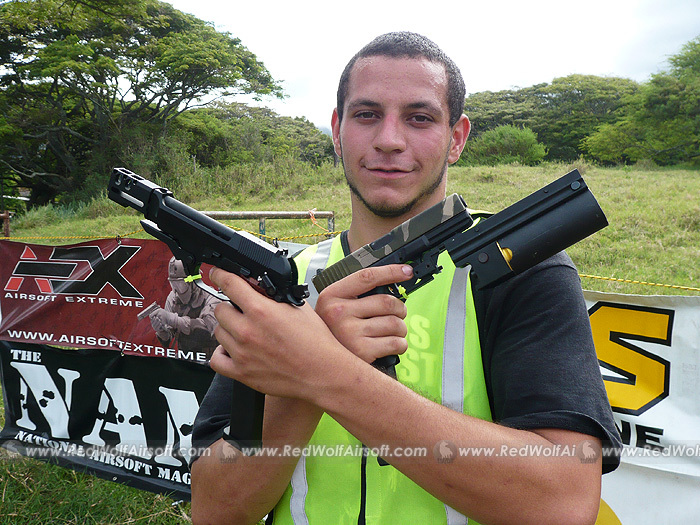 One brave soul competed with a DIGICON Target, which only takes one shell at a time and forces the shooter to open the center breach and reload on each shot! To make things more challenging, the contestants not only had to shoot at the balloons, but also had to run about 100 meters before starting their shoot. If after 10 shots they were unable to hit all three balloons at 100 feet, they had to make another 100 meter run before being able to attempt the next 10 shots. 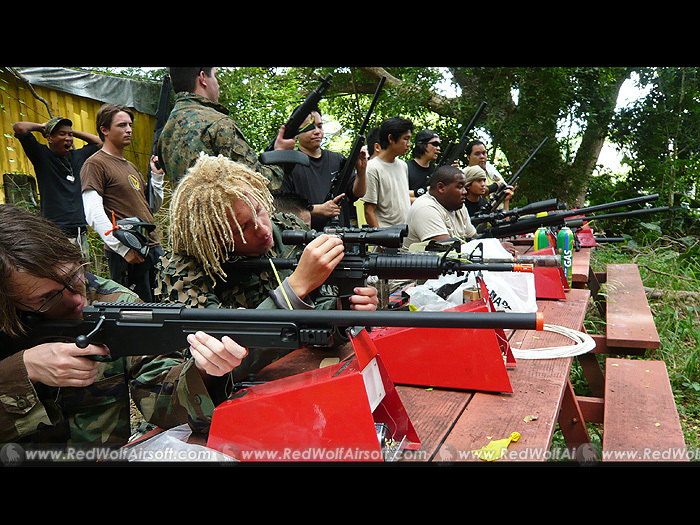 Each contestant had a total of 30 shots, and failure to hit all three balloons within that allotted number meant a "Did Not Finish" rating. 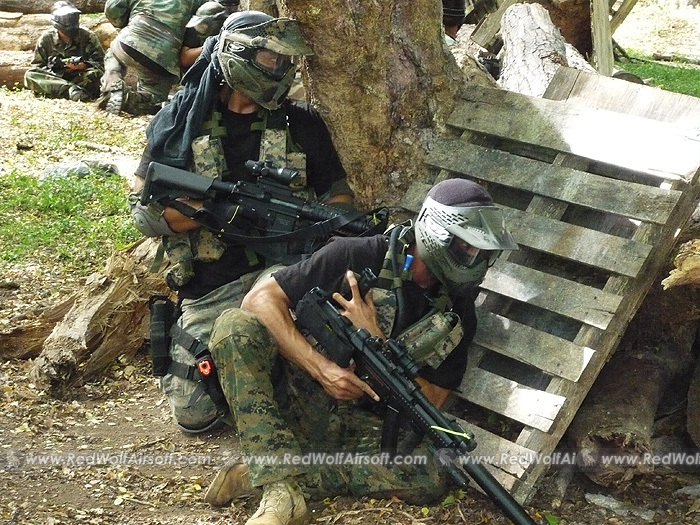 This event was probably one of the more entertaining to watch as shooters ran up and down the field for their 100 meter dash, dodging branches and falling occasionally into the grass. 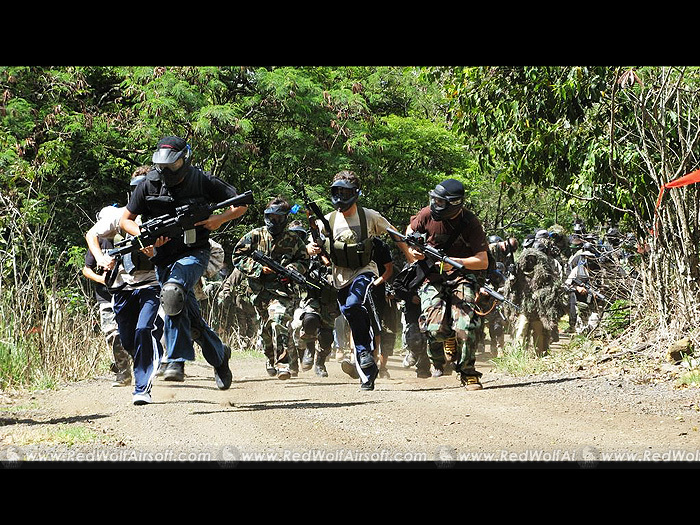 But the worst part was having to aim their crosshairs while panting and trembling from the strenuous run. 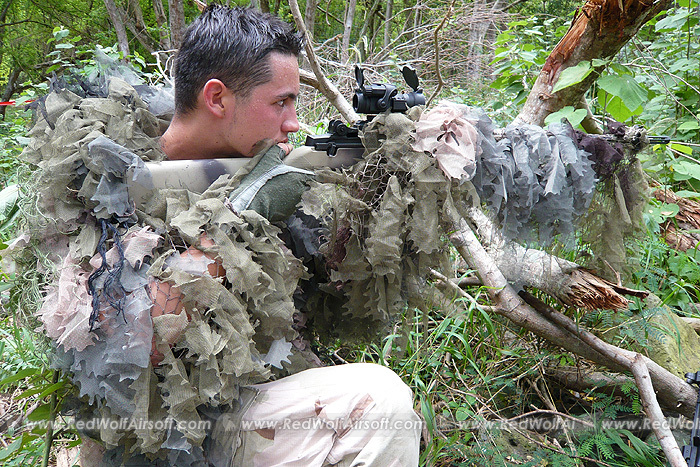 Winning the contest called for physical fitness and sniping finesse! 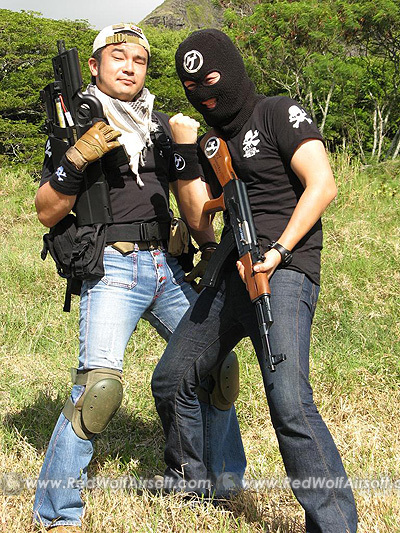 Another tradition of ASH BASH is the COSPLAY competition, which is very popular in Japan. 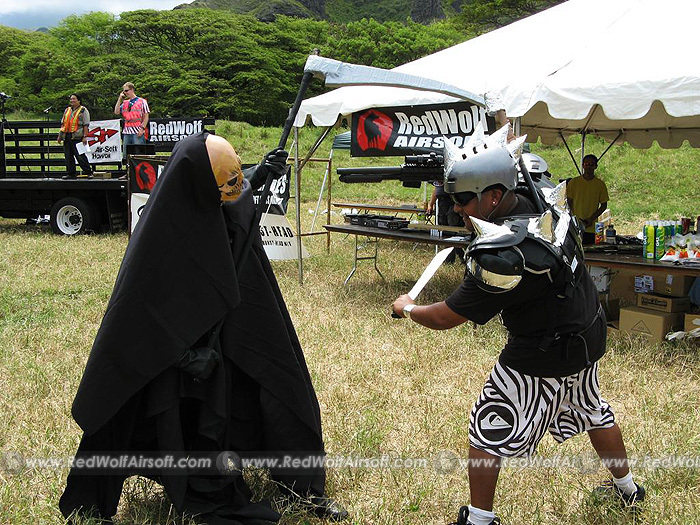 Contestants dress up in costume of their favorite character, and are judged for authenticity. 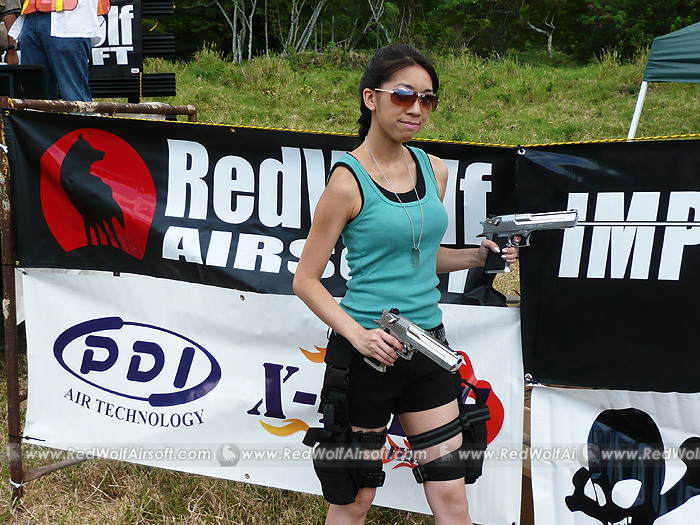 Acting as judges, the ARMS staff chose Lisa W. as the winner in her Lara Croft outfit! 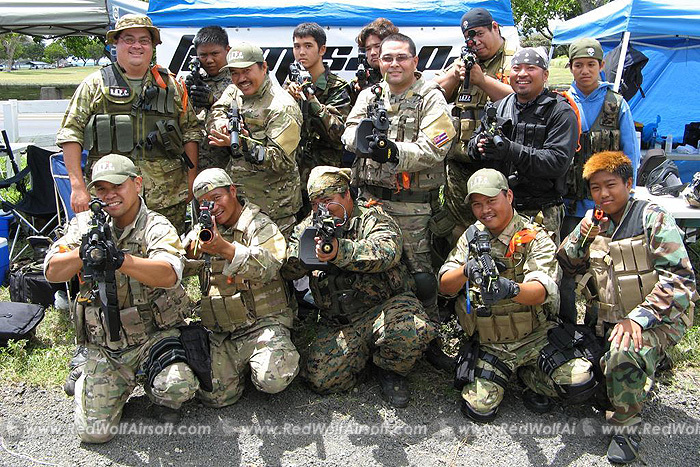 We would like to give thanks to Airsoft Hawaii and its entire volunteer staff for pulling off another fantastic event. 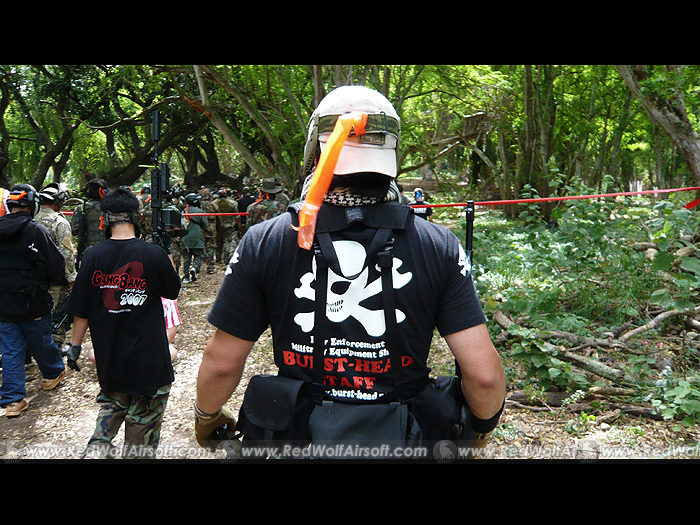 We extend our sincere gratitude to Airsoft Hawaii for inviting RedWolf to be the sponsor of both ASH BASH 2006 (in California) and this year's ASH BASH 2007. 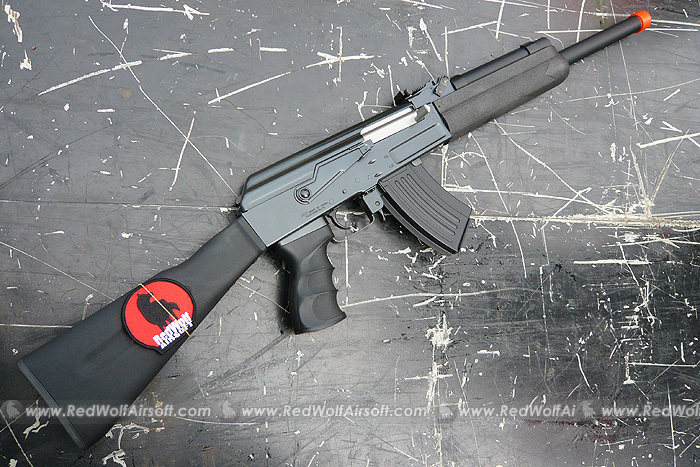 RWC AK Saiga - Coming Soon!